You are bidding on the ownership of any hit (rookie, autograph, memorabilia or serial #d cards) pulled from this box for the team mentioned in the title of this auction. for your Roster in the 2018-19 Hockey Pool! There is over $2,000 worth of prizes!! the night that the auctions end. The bids for each break will determine the level of bonuses that will be associated with the Break. At the beginning of each auction box break, I will announce which of the following levels the break will be. and hopefully increasing the level of enjoyment for you the 643 member. in the Auction Box Break is eligible to particpate in the 643 Roll Call Bonus! Prizes range from bonus cards to personal Hobby Boxes and free spots in Hit Drafts and Case Breaks! The number of winners varies, with certain nights where everyone is a winner! All you need is 1 team in the Break to be eligible! Any Member to win 5+ teams will earn a Free Team in a Bonus Hobby Box! 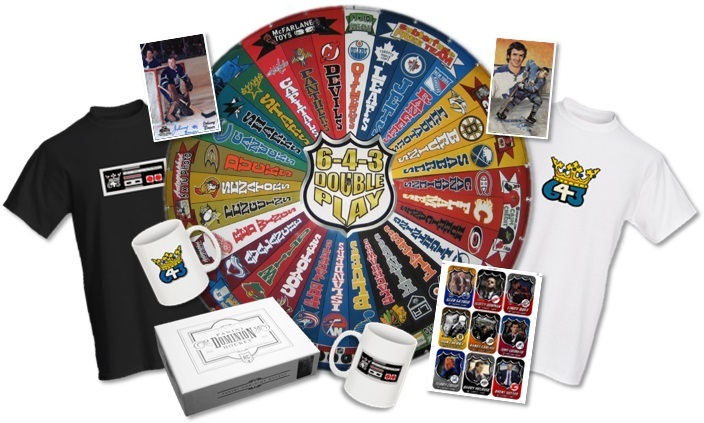 featuring 643 Member and NHL Signatures, Custom Memorabilia Cards, and much more! Click the button below to check out the 643 Collector Card Checklist! The first person to compile two hits with the same team in one Auction Break lights the lamp! As a reward, the team owner will receive a player for their Hockey Pool Roster. In the event that a card is pulled featuring more than one team, we will roll the 30-sided dice to determine the winner of the card. I always say the worst part about a Breaker's job is having to random a card. To help ease the pain for anyone who loses out on a multi-team card, they will be awarded a player for their Hockey Pool Roster. compliments of the Winnipeg Jets Captain Blake Wheeler Bobblehead! The bigger the hit, the more packs we open! Earn a Teeks643 Bonus Credit if your team is featured on the LAST card in the LAST pack of the Break! Credits can be redeemed for spots in 16-17 Black Box Break, Roster Players, Pack Wars Satellite Chances, etc. Check Bonus Credits HERE to see how many you have. a FREE Team in a Premium Hobby Box of Upper Deck Black. At the end of the Break, three roster players will be pulled for the Teeks643 Hockey Pool Bonus. Owners of the teams that the players belong to will each earn that player for their Hockey Pool Rosters. At the end of the break we will give away a great bonus prize from the Bonus Wheel! CLICK HERE to View the Prizes Available to be won! a modest commission, plus the regular 10 Teeks Bonuses outlined above without Roll Call. In this scenario, we may be using a more expensive product or bids are low on a particular night. Any Member to win 5+ teams will earn a Free Satellite Chance in the next Pack Wars Tournament! At 643BoxBreaks.com, it is our #1 goal to get your cards shipped out to you as safely as possible. All hits will be shipped in a bubble envelope and properly secured in quality shipping materials (a soft sleeve, followed by a top loader, and finally a team bag). All of our shipping is provided to you free of charge! Taking this into consideration, we look to be as economical as we can in dealing with shipping while also getting your hits to you promptly. My shipping is packaged up once per week (normally on the Tuesday following Sunday & Monday Box Breaks) and shipped out every 3-4 weeks. In the rare event of a package containing just a low level insert, I may hold the parcel until your next hit and ship out at that time. Free shipping is provided without tracking or insurance. Sellers are not responsible for parcels lost or damaged by the Postal Service. Tracking/Insurance is always available for any parcel at the buyer's expense.